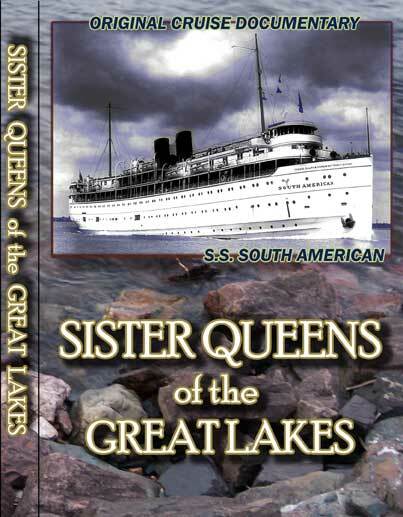 Take a Great Lakes cruise on the Sister Queens of the Great Lakes, with ports of call in Chicago, Mackinac Island, Munising, Houghton, Isle Royale, Duluth, Cleveland and Buffalo. Tour the cities at each stop, cross under the Duluth Aerial Lift Bridge, experience the Soo Locks and the St. Mary’s river, view the Straits of Mackinaw and tour Mackinac Island. See the Blue Water Bridge, the St. Clair river and Niagara Falls. This up-close onboard full-color film produced in the 1940s and 50s was a national promotion for these great white luxury liners of the Great Lakes, the S.S. North American and S.S. South American. Running time 52 minutes. Shown at the Dossin Great Lakes Museum. Admission is FREE.